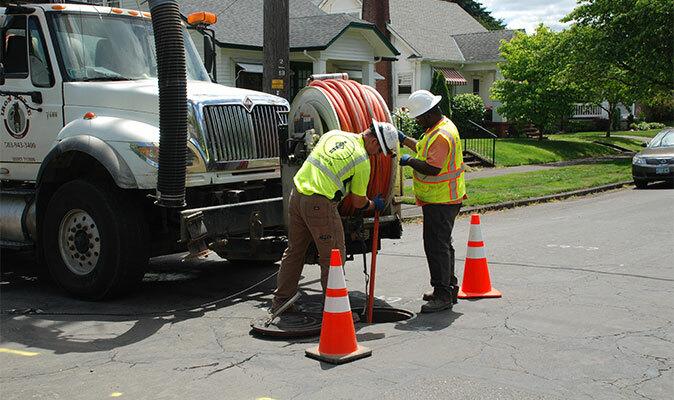 Our equipment vacuums out inlets and basins so you don't need to worry about costly blockages. The normal function of storm pipelines can be hindered and blocked by rock and debris. Failure to have regular maintenance on your storm lines will lead to failure, overflow, and costly flooding restoration. It is important to maintain storm drainage within your open ditch systems. Blockages of culverts may lead to flooding and damage on both public and private property. Drywell cleaning is necessary to maintain positive cleaning in your facility. Drywells collect storm water from storm water collection systems and disperse the water back into the earth.